A USB camera system provides high quality motion capture for small to medium size volumes at a relatively (compared to Ethernet cameras) affordable price range. USB camera models include the Flex series (Flex 3 and Flex 13) and Slim 3U models. USB cameras are powered by the OptiHub, which is designed to maximize the capacity of Flex series cameras by providing sufficient power to each camera, allowing tracking at long ranges. 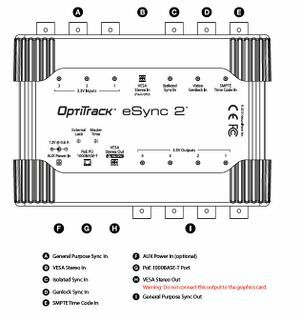 For each USB system, up to four OptiHubs can be used. When incorporating multiple OptiHubs in the system, use RCA synchronization cables to interconnect each hub. A USB system is not suitable for a large volume setup because the USB 2.0 cables used to wire the cameras have a 5 meter length limitation. 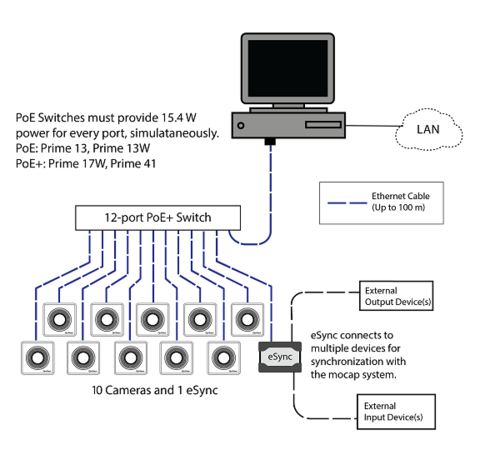 If needed, up to two active USB extensions can be used when connecting the OptiHub to the host PC. 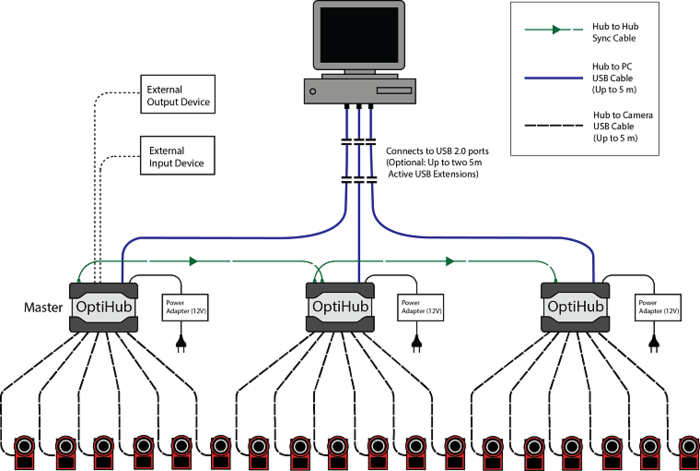 However, the extensions should not be used between the OptiHub and the cameras. We do not support using more than 2 USB extensions anywhere on a USB 3.0 system running Motive. 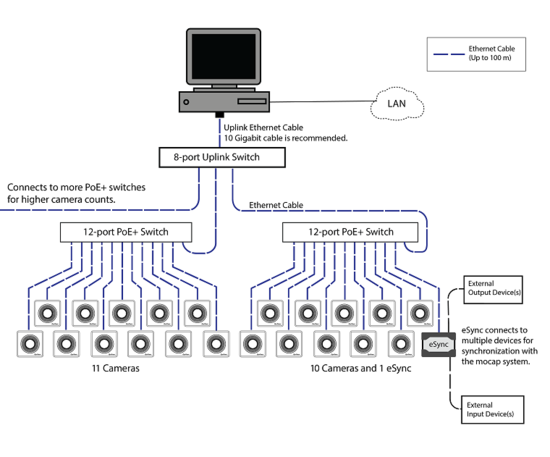 When connecting hubs to the computer, load balancing becomes important. Most computers have several USB ports on the front and back, all of which go through two USB controllers. It is recommended (especially in larger camera count systems) that you evenly split the cameras between the USB controllers to make the best use of the available bandwidth. This page was last modified on 9 June 2016, at 16:10.